High school graduation season is upon us. High school seniors all across the country are taking their walk across stage in their caps and gowns to receive their high school diplomas. 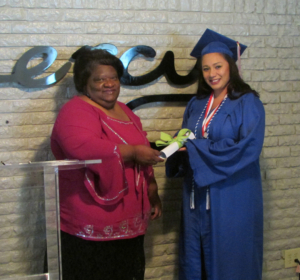 At Mercy Multiplied, one resident experienced high school graduation differently. Recently, a 29 year old Monroe Mercy resident achieved her High School Equivalency Diploma (HiSet) and was celebrated with a graduation ceremony of her own. The resident had stopped attending school in the 9th grade. She recalled she was constantly in trouble, on probation, and did not care about school work. When she came to Mercy Multiplied, she had not completed any high school classes and needed to fulfill all her high school course requirements. Melinda Daniels, a Mercy Multiplied Transitional Care Liaison, knew this resident did not have a formal education and walked her through the process of what it would take to achieve this accolade. Daniels went to the library and rented a GED study book for the resident and eventually helped her register online to take the test. 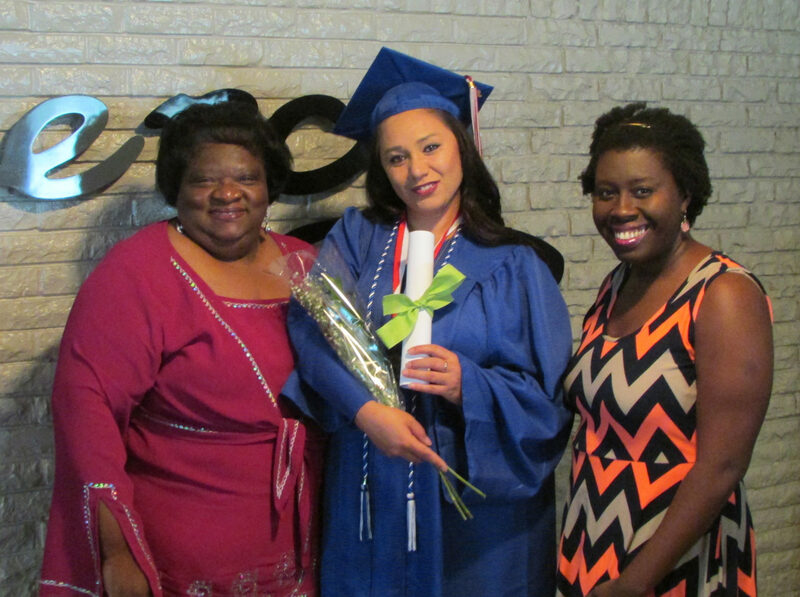 The resident’s determination and studying efforts allowed her to officially receive the high school diploma she never did as a teen. Daniels took the resident to the HiSet testing site, and within three visits, she had passed all her tests. “I was honored to help her and so very proud of her for taking this risk of possible failure. It was an over-the-top feeling of celebration for her from all the staff and residents at her graduation,” said Daniels. When the resident completed her work, the Monroe Mercy staff and residents gave her a special graduation ceremony to honor her achievement. She wore a cap and gown, was handed her diploma, and celebrated with cake and punch. “It feels fantastic to accomplish this achievement! It is a weight off my shoulders that I didn’t even realize was there,” said the resident. To learn more about Mercy Multiplied’s residential program, including its education component, please click here.